She rolls her eyes before answering that he often does. She wheels him outside, while musing at how beautiful the sky was in Urk. He asks if she wants to go back together, and scowls when she asks why, saying he’d better not return with someone else. She asks what he was listening to and he grins that it’s a favourite of his, offering her his headphones. She listens with a smile that quickly turns into horror as she realizes what he was grinning over earlier. She throws off the headphones, releasing his wheelchair while doing so which sending him straight down an incline, and right onto the pavement, where the wheelchair overturns, leaving him flat on his back. Moyeon runs after it in horror, only…it’s not him she’s concerned about. She asks him why on earth he was listening to that embarrassing recording of hers anyway and sighs over the wheelchair. Shijin huffily says that she’s broken everything from cars to wheelchairs and she should probably just stay off public transportation for the safety of citizens. That earns him a second glare. Meanwhile, Myeongju’s having a seriously awkward lunch with Daeyoung, who’s basically just staring at her while she wolfs down food. She warns him to say what he has to say before she’s done eating because the only reason she’s even here is to eat. He says he doesn’t have anything to say. She asks him why on earth they’re even meeting for lunch then. Myeongju says she’s confused. What are they? He says he’s trying to go to her, and she frustratedly notes that he hasn’t changed his mind. She asks if he thinks he’s really going to enjoy working in a company as her father’s son-in-law. She says she’ll leave the army, and simply not see her father again. She’s seems fine with it but Daeyoung isn’t. He gets frustrated himself as he tells her that with her skill she’s going to rise up the ranks and fast. Her father has a daughter with guts and skill. 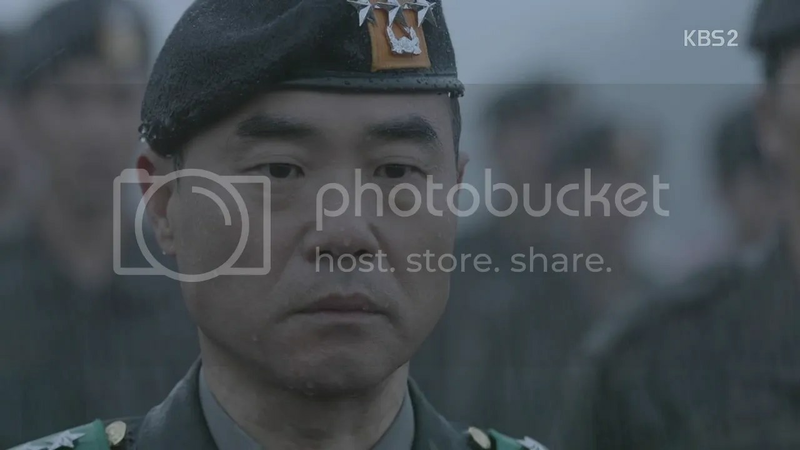 He’s disapprove of himself if he were General Yoon too. Myeongju says he understands what he’s saying but hates that he’s saying it. Daeyoung growls that he isn’t happy either. He leaves the table, taking the check. He stops when Myeongju speaks. Next time, she says he should just tell her if he wants to break up instead of buying her a meal. He leaves. At his office, Myeongju’s father stares at Daeyoung’s application for discharge before sighing. Meanwhlie, Moyeon’s off to take a shower when she gets a text from Shijin asks what she’s up to. She calls her immediately upon hearing that she’ll be showering and forlornly notes that she still has her clothes on. Haha. She asks what he’s doing her and he says he’s on sick leave and in pain so he decided to pop in for a diagnosis from his doctor. He calls all the cans of alcohol he’s brought ‘painkillers’ and asks her to go ahead and get started because he really wants to see her fill up her bathtub. She leaves to go shower after warning him from any funny stuff and returns to find that he’s bought loads o fher favourite candles and lit them about her house. 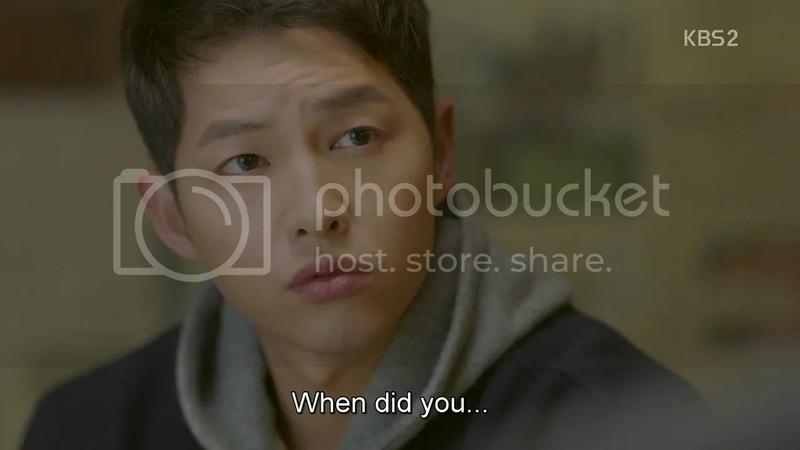 She asks how he knew what candles he liked from just one visit, and Shijin asks if she really thinks he visited just once. Moyeon mutters that she doesn’t want to know but suddenl remembers the second time he came over, when she was dead drunk. 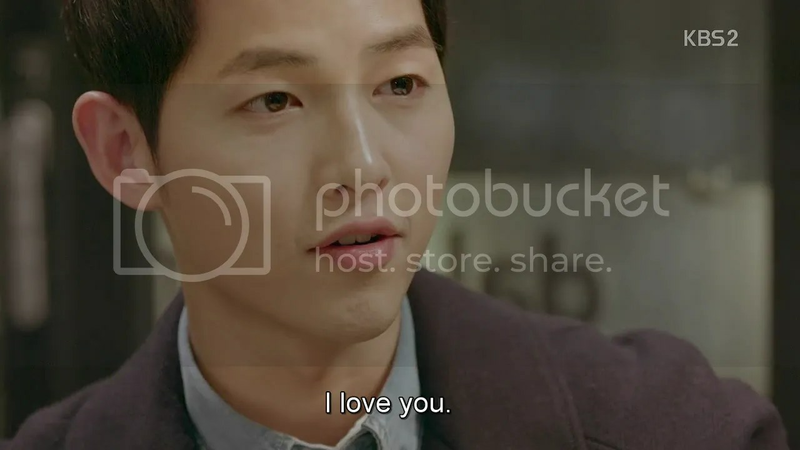 She tries to brush it off as having happened “a long time ago” and is so cute that Shijin can only grin and tell her never to drink with another guy. She asks if he’ll show up in a helicopter and show her away then but pauses upon remembering something. She says he had better be best, before guessing that he used up their last card with President Mubarak. He tries to avoid the question and she knows she’s right. 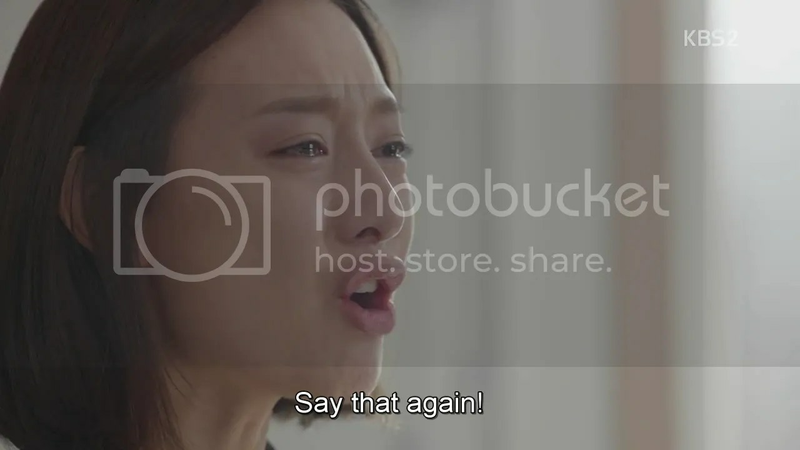 Moyeon gets pissed at the waste while Shijin can only argue that said helicopter saved her. She mutters about all the stuff they could have used that final request for and Shijin just finds her cute as heck. The next day, Kim Kibum gets a welcome surprise upon returning in soldier garb to take his final qualification exam (to enter university). All the members of Team Alpha are there to support him with everything from food to ‘helpful’ advice, like Daeyoung telling him to go for the third choice when in doubt. Shijin prevents the others from following Daeyoung’s lead and turning up their collars, muttering that they all look ridiculous. Right then, he gets a call, as do the others, informing them of a new mission they have to go on. Shijin sighs upon noting that only Daeyoung doesn’t get a call. Daeyoung broods back at camp while the other members of Team Alpha gear up, until he’s called in by General Yoon. Myeongju’s father offers him two options: either leave with Team Alpha under the excuse that they haven’t found anyone to replace him, or stay behind. 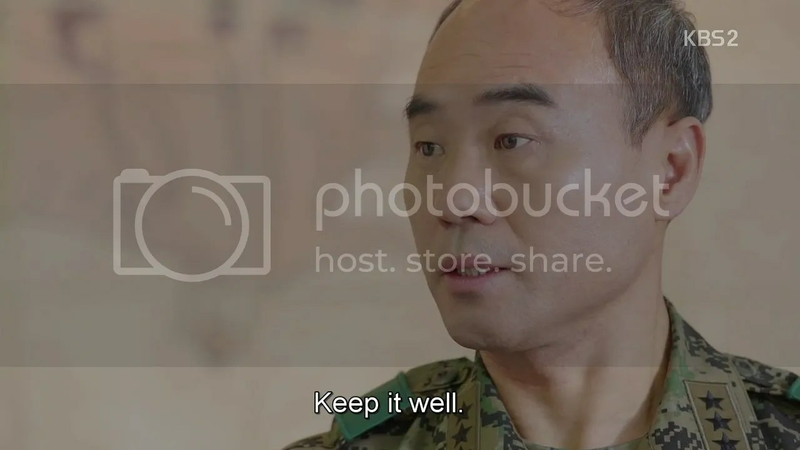 General Yoon nods, saying that they don’t know when they’ll find a replacement for him and he’ll just leave it at that. 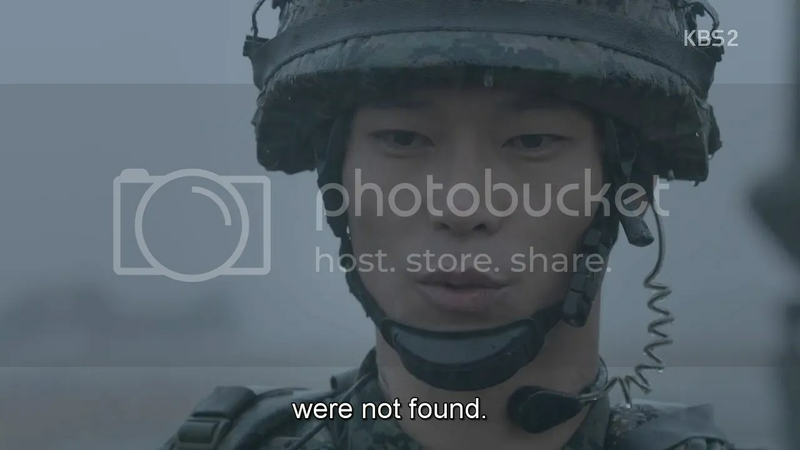 Daeyoung realizes that the commander is acknowledging him in his own way, as a soldier, and tears up a bit, when General Yoon asks him to come by sometime with Myeongju. 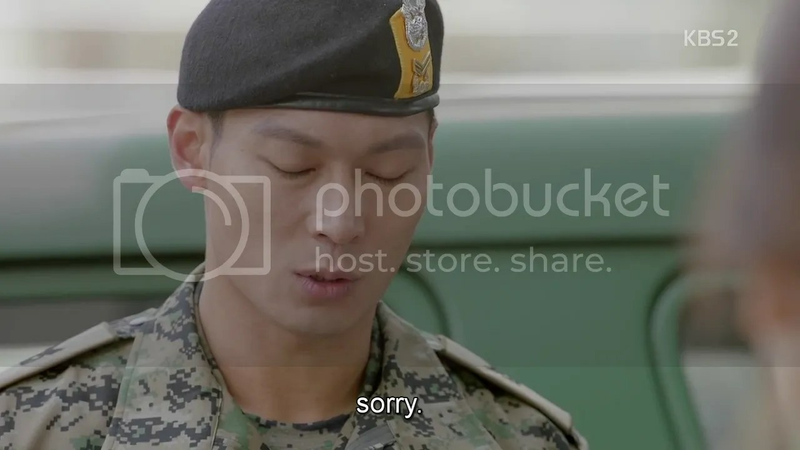 He apologizes, while the general asks him to stay healthy and return. He tears up Daeyoung’s application after he leaves. Daeyoung sits on the steps by Myeongju’s apartment for a while before leaving his dogtags on the doorknob. She arrives home and looks stricken at the sight. Meanwhile Chihoon has just found out that the kid he befriend in Urk was saying ‘goat’ not his own name. Moyeon and the others laugh while Chihoon sighs that he still doesn’t know the kid’s name. 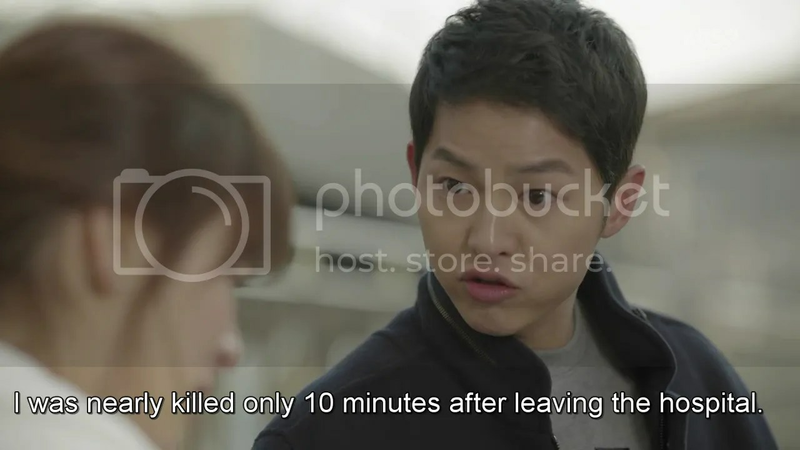 She gets a call from Shijin and rushes out, musing that he’s 2.5 hours early. Then she realizes that he’s in gear. She asks if he’s going to the department store (their codespeak for ‘somewhere dangerous’) and he sighs saying that it’ll take a while this time too, three whole months. So he came to see her now while he still could. He jokes that she shouldn’t drink with other guys while he’s gone but Moyeon can’t help but tear up. He draws her in for a hug. 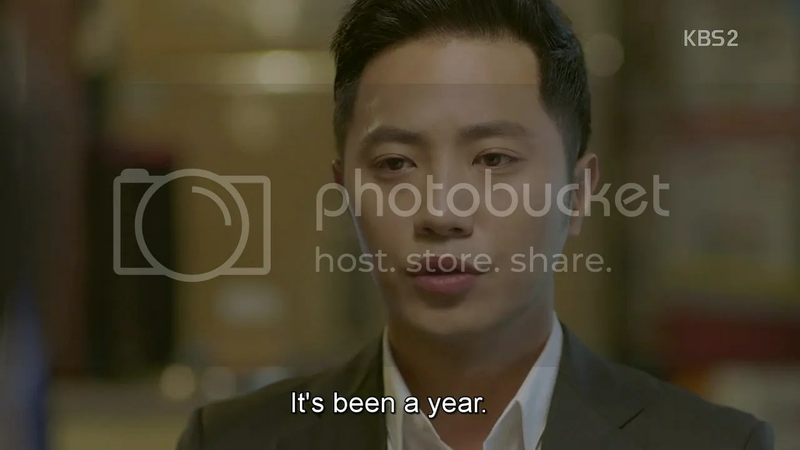 There’s always something ominous about promises in Kdramas. She asks if they can stay in touch but he shakes his head ruefully, saying that he’ll be off the grid. He’ll contact her whenever he can though. He’ll just be gone for one season, he promises. He turns to leave but she pulls him back for a second hug. She says she’ll miss him too. He cups her face before driving off. As she turns to return to the hospital, Argus’s words reverberate through her head once more. Her mood is dark for the remainder of the day and the next day until Shijin texts her saying he arrived safely at his destination. Days pass and Moyeon messages him from time to time, sighing when he never responds. 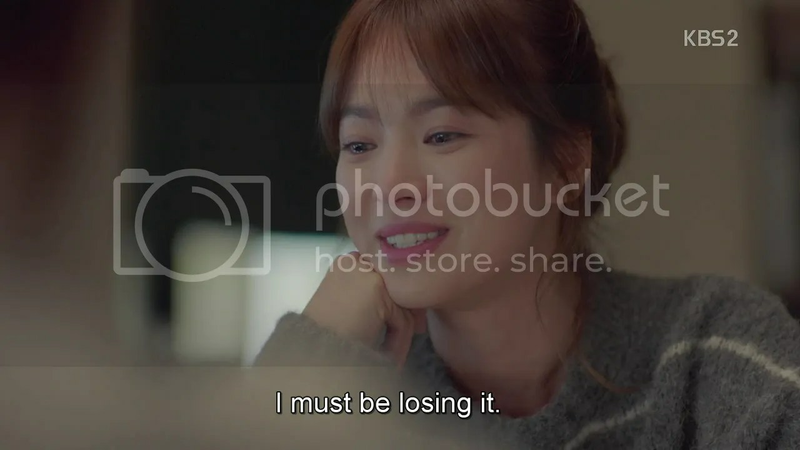 She gets frustrated when his three months are up and Shijin doesn’t show. Even the sight of a helicopter is even to make her wish he was on it. 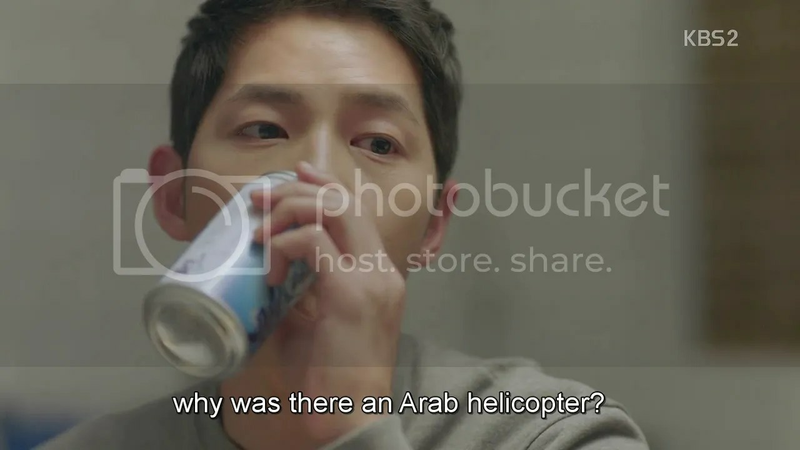 Meanwhile, it’s night wherever Shijin is and he’s sends everyone on his team in a chopper, saying that he and Daeyoung will take the next one. The chopper takes off and he grins that they’ll be on their way home as well in 10 minutes…right before he gets shot. 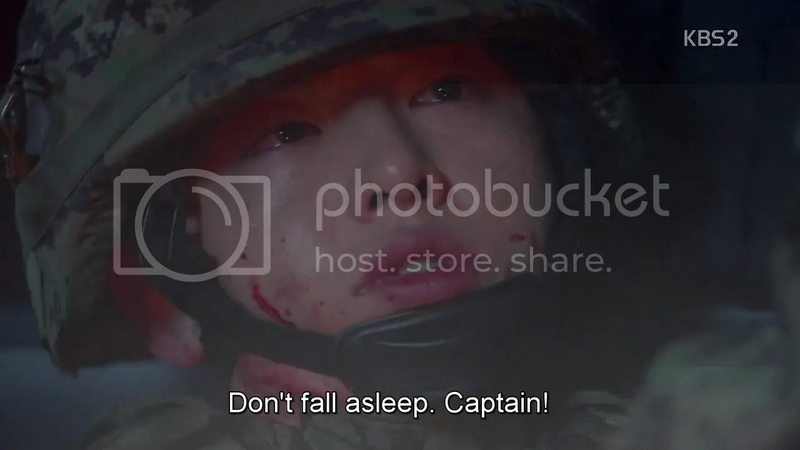 Daeyoung tries to stem the bleeding but Shijin’s losing consciousness. He even sees his dead commander asking him to join him for a drink, and says he will. 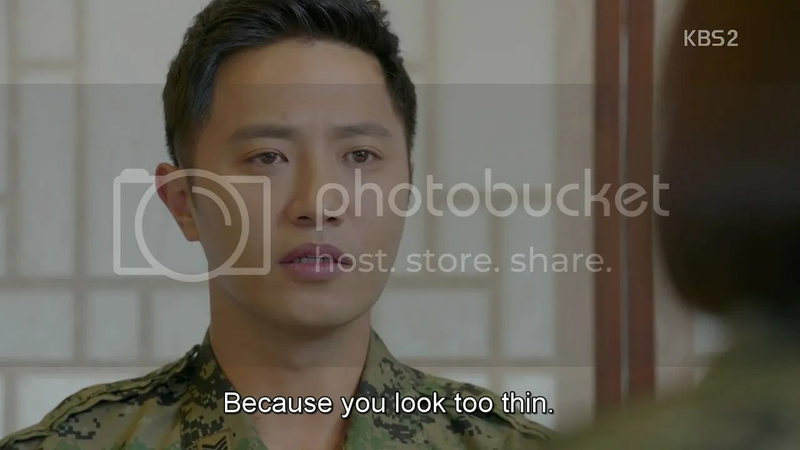 No Shijin! You don’t say okay to ghosts! Gunfire opens and Daeyoung gets shot too. 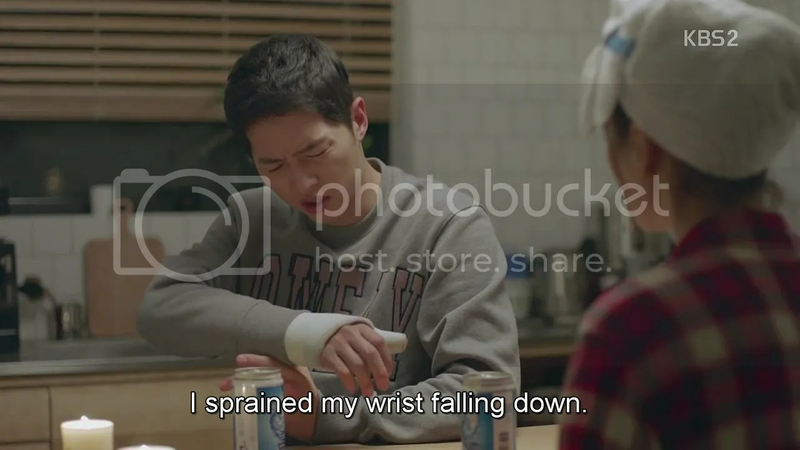 The very thing Moyeon didn’t want to happen, happens, as she whistles down the hallway with a smile while Shijin lies bleeding. 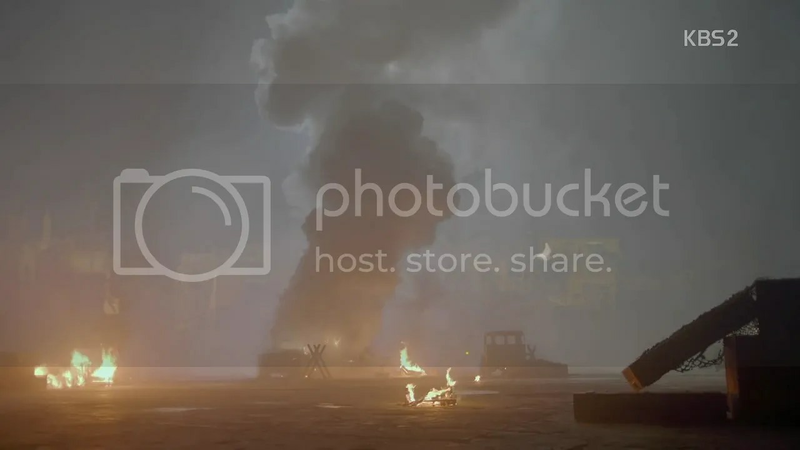 The rest of Alpha Team on the helicopter ask Shijin and Daeyoung what’s going on via their walkie talkies but the entire area blows up right then. Right in front of their eyes. They scream asking the helicopter to turn back. We fade out. 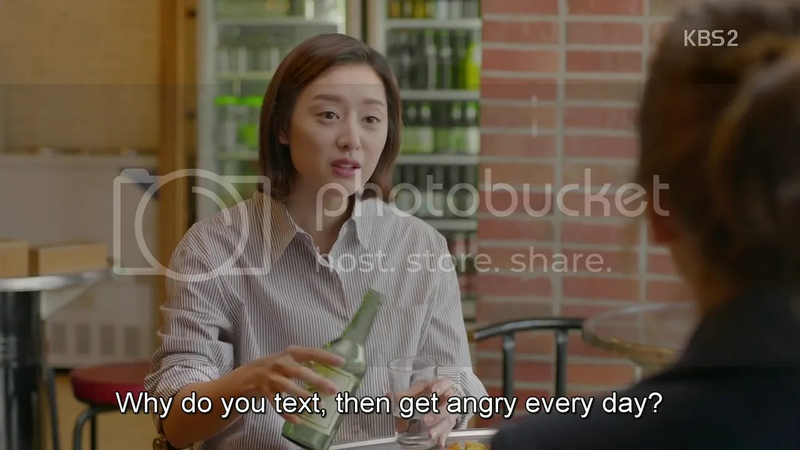 Cut to an irritated Moyeon saying that she’ll be drinking with other guys so Shijin had better show up if he cares anymore. 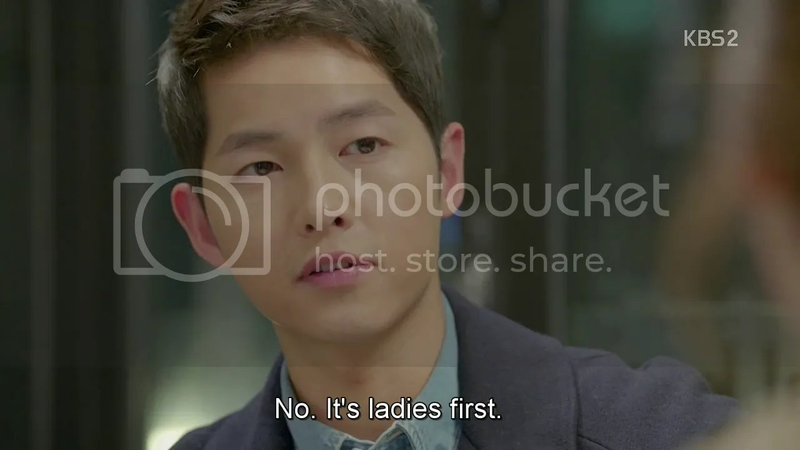 Myeongju arrives at the same cafe, tsking at Moyeon, telling her to just assume that Shijin’s not somewhere where he can read her texts. Moyeon grumbles that it’s so he can see how worried/irritated she was and make it up to her afterwards. Myeongju laughs. Moyeon asks if it’s always this bad and Myeongju nods, saying that they were broken up longer than they were together. 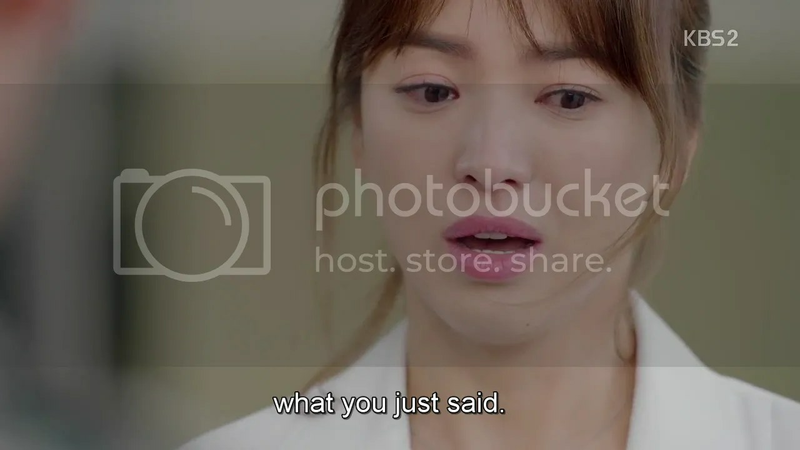 Moyeon asks if they made up after their last fight and Myeongju shakes her head, saying that love is a battlefield. She grins, saying that he did leave her his dogtags so she thinks she has the upperhand. Moyeon vows to stick to Shijin for a week when he returns. 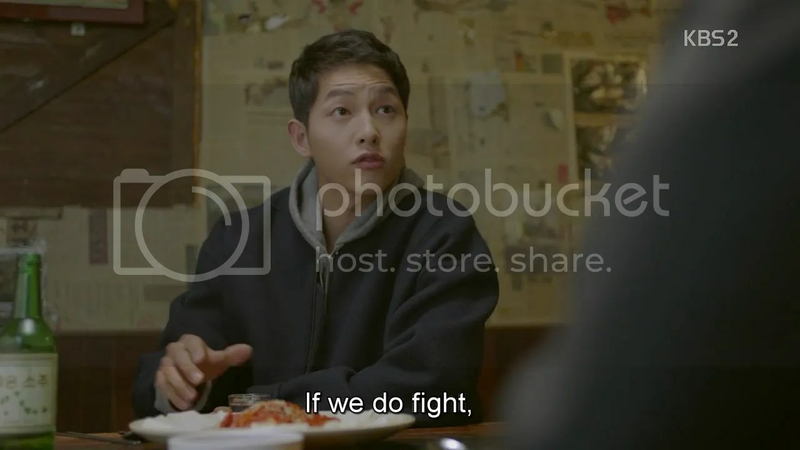 Myeongju agrees, promising to take Daeyoung to a hotel in some far off land and lock him in there just to finish their fight. The women laugh, and Moyeon reveals that she’s even joined a group with women who have soldier boyfriends. Myeongju shakes her head. The mood turns a bit somber when it starts raining and both women wish their boyfriends were there. Myeongju says they’ll be back soon. Moyeon hopes so. 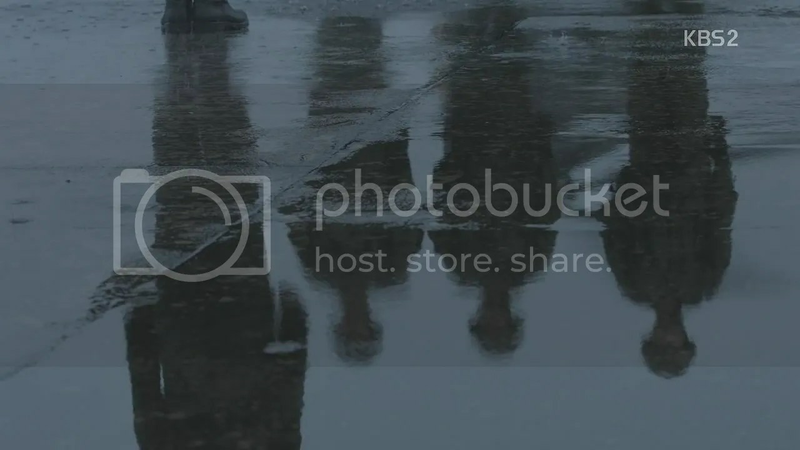 It’s pouring at the military airfield but General Yoon is waiting with a squadron when the remaining three members of Team Alpha land and report Shijin and Daeyoung’s death. 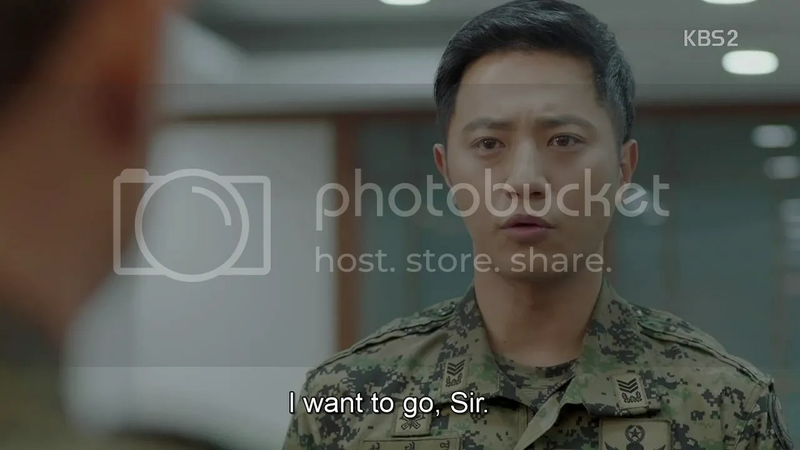 He calls in Shijin’s father to his office. The older man crumples at the sigh of Shijin’s dogtags and weeps. 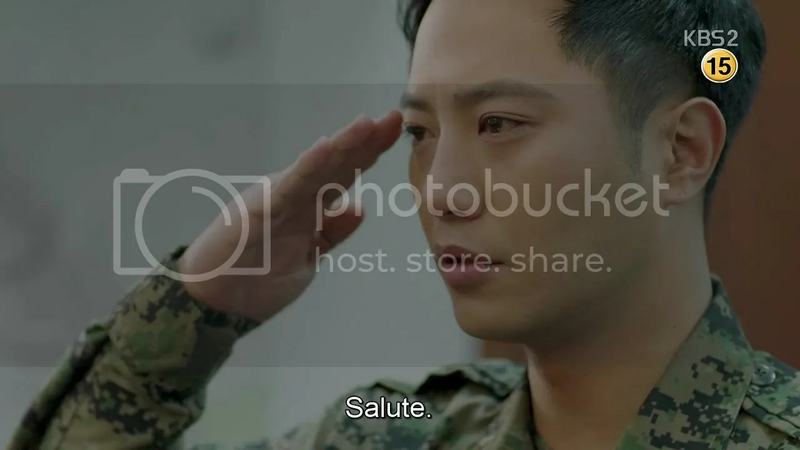 General Yoon and only salute in turn. 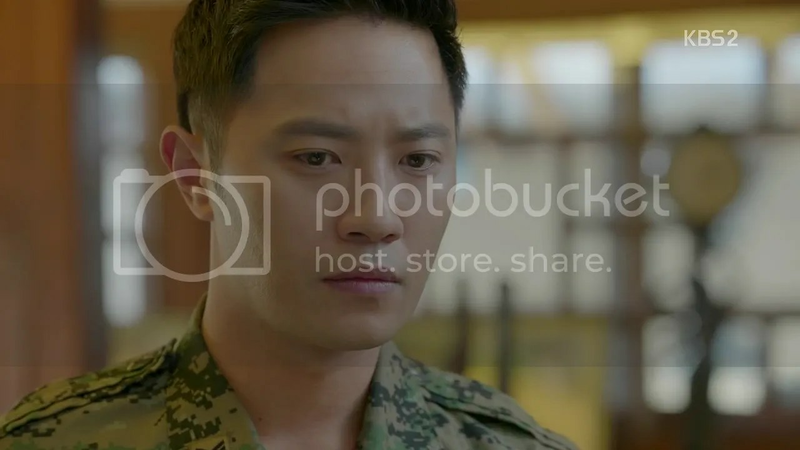 Myeongju’s busying browsing hotels she can lock Daeyoung in when Sergeant Kim Beomrae whom she’s always used to report on Daeyoung comes in. He keeps repeating his name, while Myeongju lights up thinking that Daeyoung’s back. He tears up at the sight of her happiness. 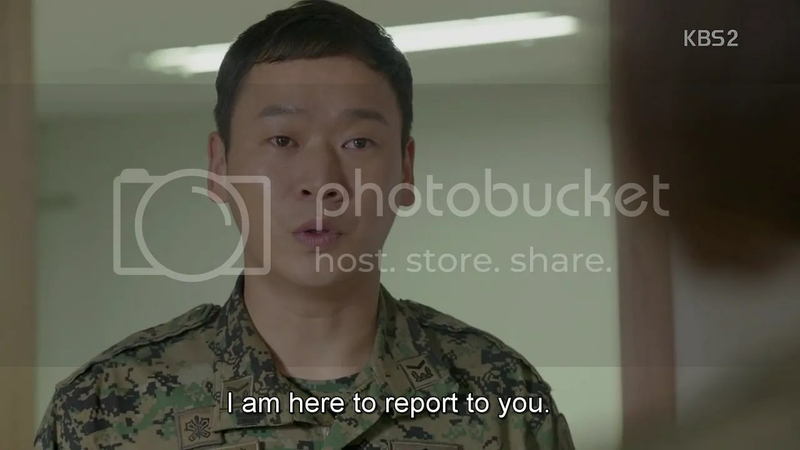 At the same time, Mr. Grumpypants, aka Sergeant Choi shows up at Moyeon’s hospital. She runs over having though he was Shijin and both women receive the report at the same time. Moyeon’s handed a letter from Shijin. She reads it with shaking hands, running out of the hospital after doing so. Shijin: Prior to any mission,we write a will. I really hope that…you will never have to read this.you are reading this letter, it means that… I couldn’t keep my word. I told you not to worry. I said I wouldn’t get hurt. I said I wouldn’t die. I said I would return. I failed to keep them all. I apologise. Wherever you were was always bright. I met you, I fell in love with you, and this is how we must part. I am very sorry. Myeongju’s run over to her father. She entreats him to tell her it’s not true but all he can say is that he’s sorry. But Myeongju takes the letter. 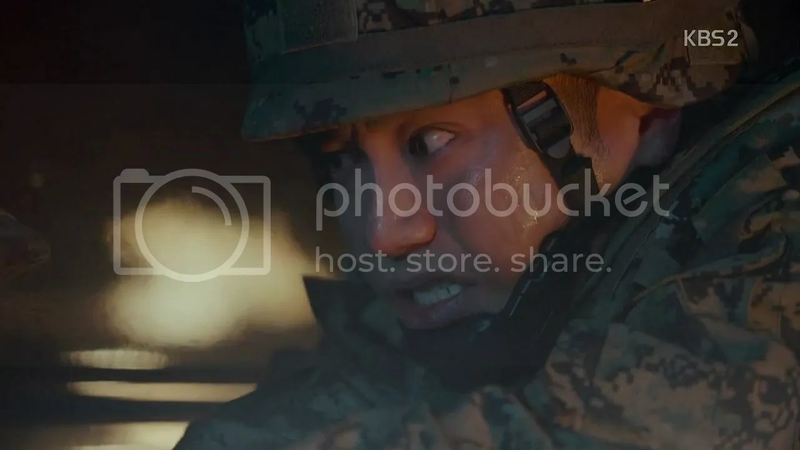 Moyeon races over to the barracks only to freeze at the sound of weeping. She asks Myeongju why she’s crying, asking her what she’s supposed to do if Myeongju’s like this as well. Her father’s the commander. 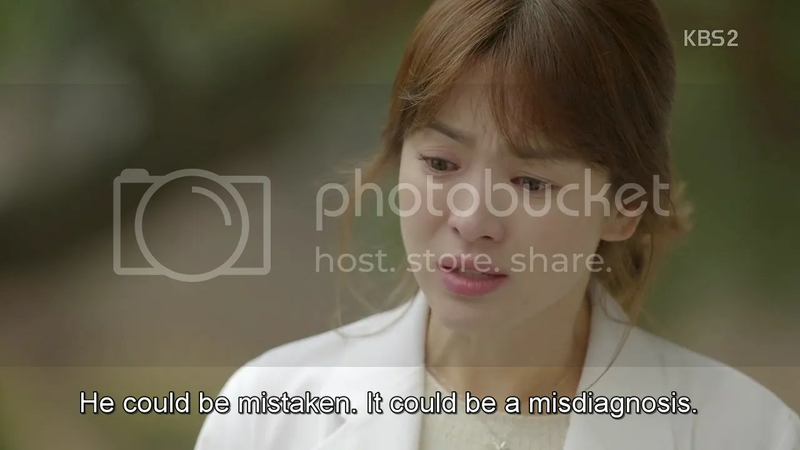 She then sees the letter Myeongju’s clutching tightly and tears start to fall. 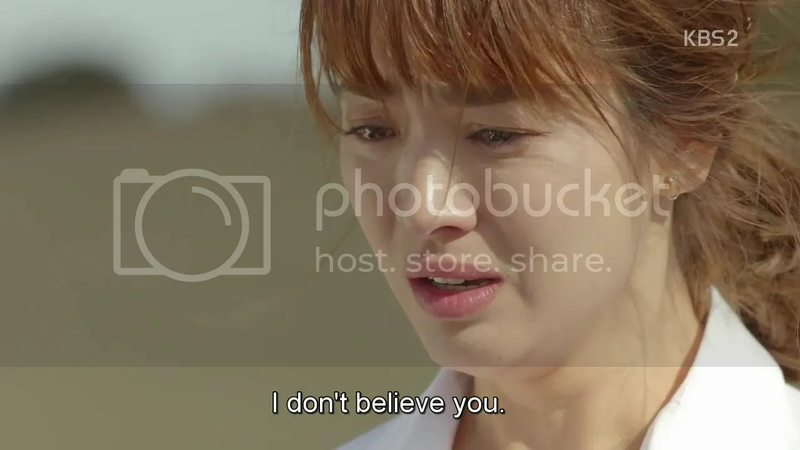 She asks if it’s true, if she’ll really never see him again and Myeongju finally nods. Moyeon collapses. Back at home, she stares blankly thinking of the last bit in the letter. 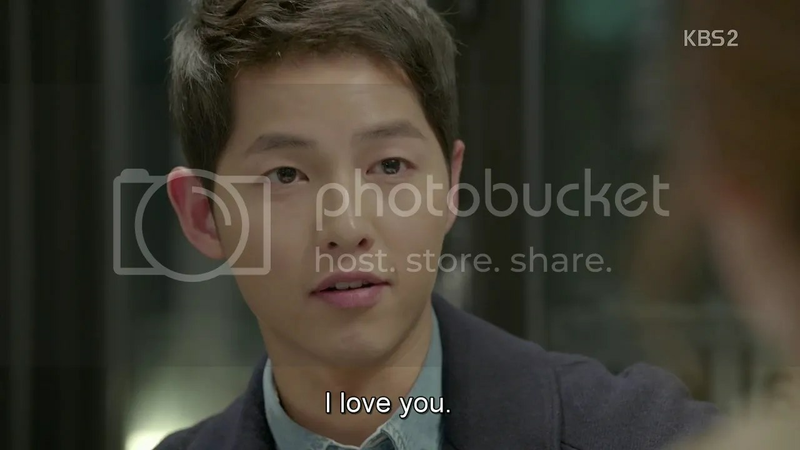 Shijin: If I dare ask, I hope you don’t cry for too long. Be cheerful… and strong. And… don’t think of me for too long. She’s visited by Lt. Park who asks her to sign a non-disclosure contract. 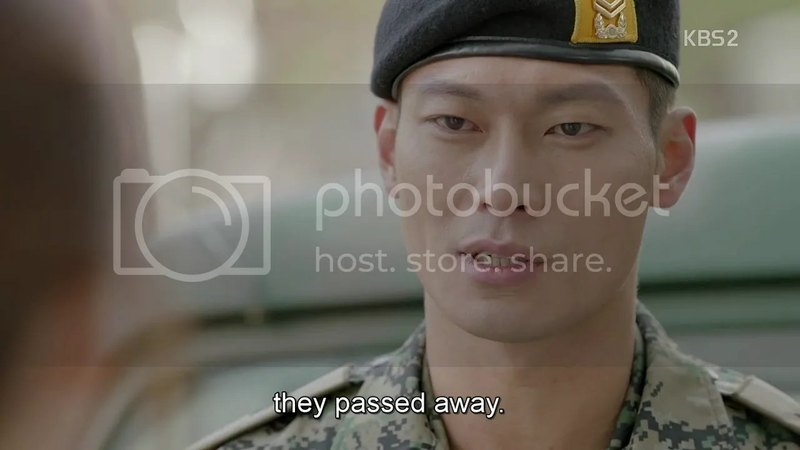 Shijin and Daeyoung’s deaths will be attributed to a car accident during a training exercise. She asks if his death helped save lives. Lt. Park affirms that it did. She asks if his death served to preserve the death, to preserve their country. 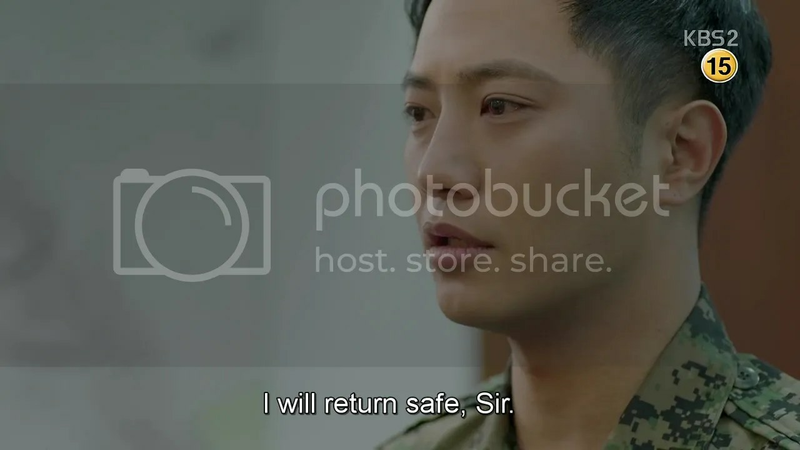 Lt. Park says yes to both. 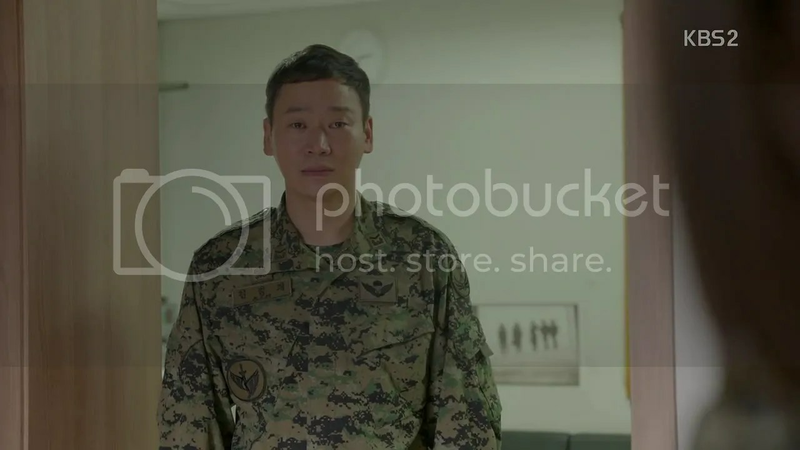 Lt. Park apologizes. 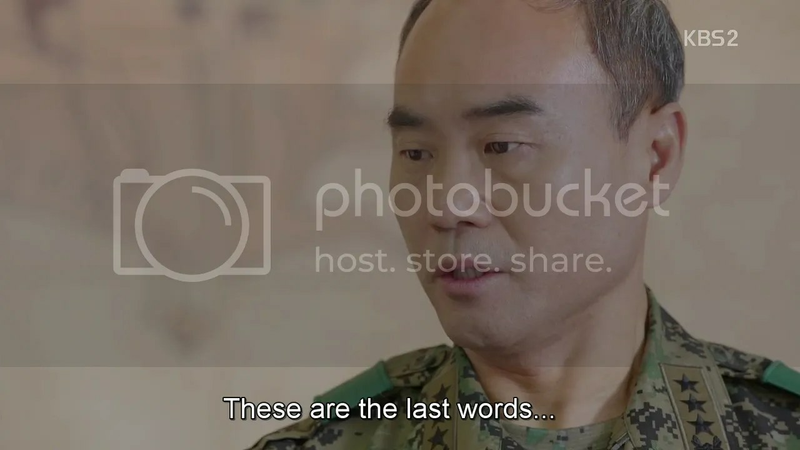 Moyeon wonders what it was with Shijin to choose such an occupation where even his death is covered up. Hoping she’s making the right decision, she signs the agreement. 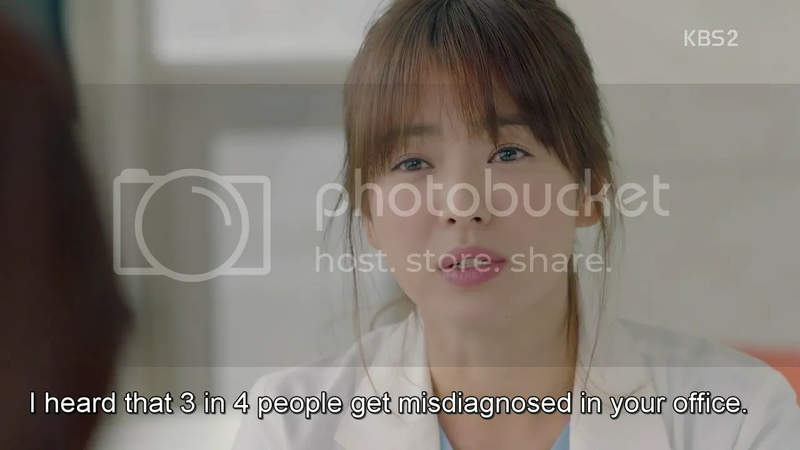 An unspecified amount of time later, Moyeon dashes about with a team, wheeling a patient to surgery and completing a successful operation. She’s tired afterwards but Lee Eunji has a bone to pick with her and jumps right on her without letting her have two bites of lunch. 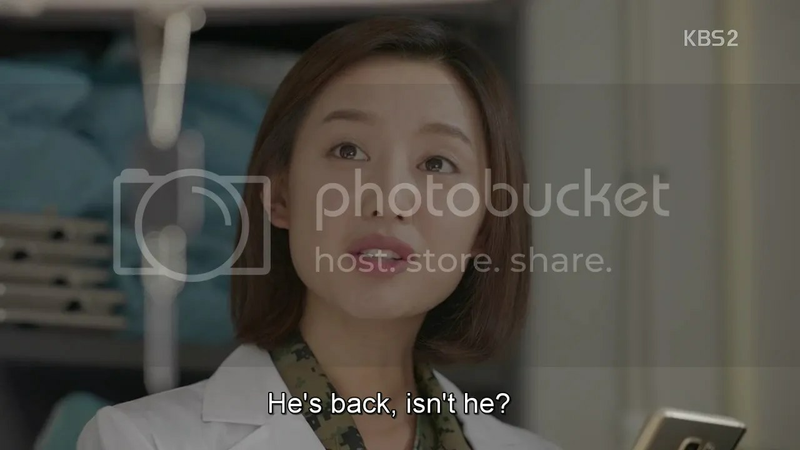 She snippily congratulates Moyeon on regaining her position as surgeon before telling her that she’d better go with the medicine supplier that she wants or else. Moyeon irritably notes that the CEO of said supplier is her uncle and the medicine they sell is more expensive. Bratface tells her to head onto Africa if she wants to be Schweitzer. Jisoo asks if she wants a hug, but Moyeon just settles for more wine. Meanwhile, Myeongju receives a transfer from her father back to Urk. 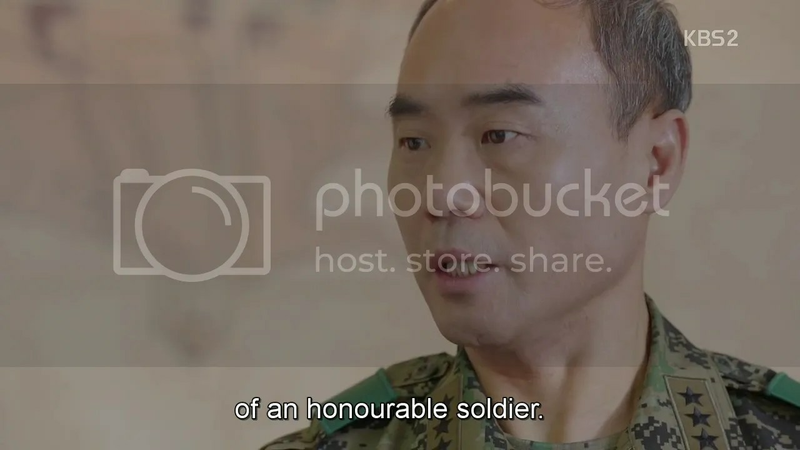 General Yoon apologizes once more for how unjust he was. He hopes she can forgive him someday and tells her that just like Daeyoung was her everything, she was his. Myeongju doesn’t respond. She meets with Moyeon who muses that it must be nice to go to Urk again. 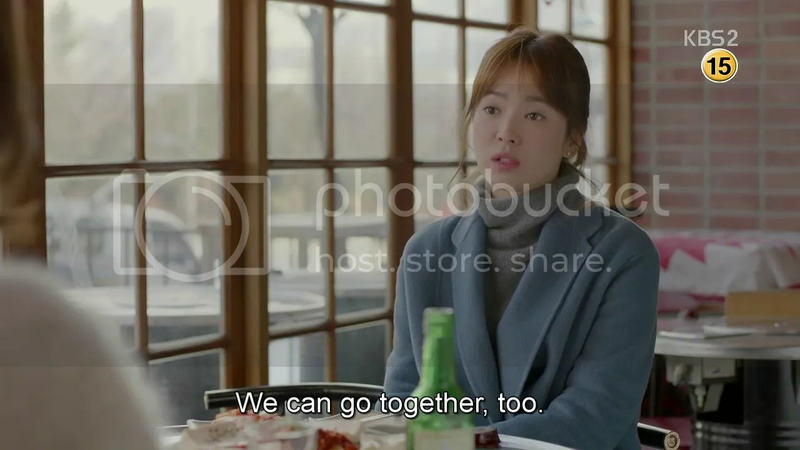 Myeongju asks if they should go together then. 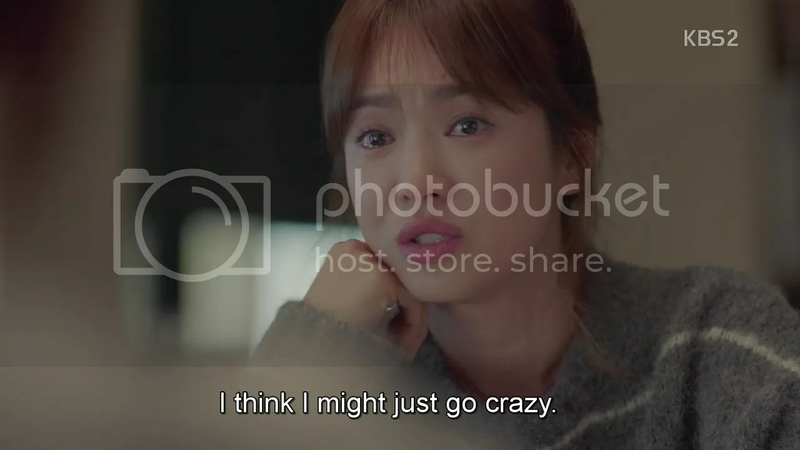 Moyeon wonders why not. Myeongju hands over her farewell gift, a Shijin plushie. For herself, she has Daeyoung’s plushie girlfriend. Moyeon notes that it’s too short, so Myeongju wins. They smile sadly before deciding to get riproaring drunk like their boys did (three days and 0 nights). Moyeon wonders how Daeyoung and Shijin first met. She never had the chance to ask. Myeongju smiles saying that she knows. 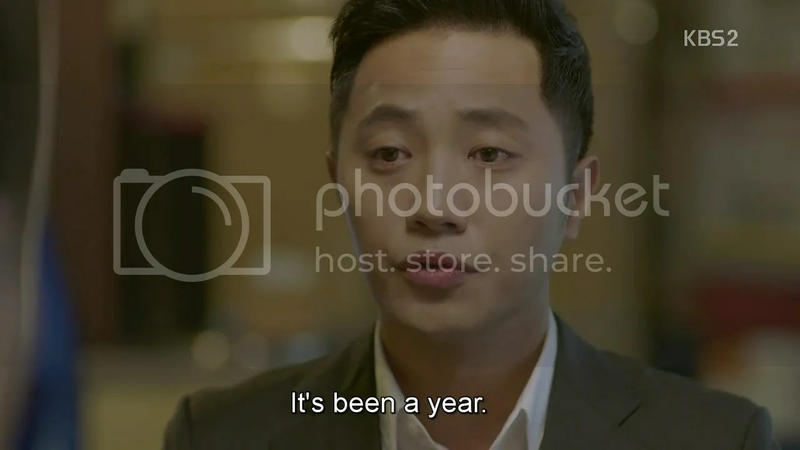 Cut to Daeyoung the day after having visited his ex-girlfriend’s wedding with Myeongju. 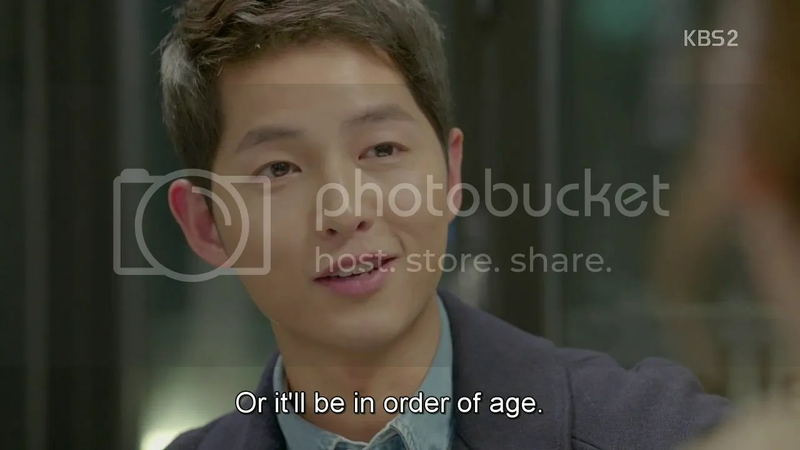 He recalls his end of the deal: telling Shijin that he’s dating Myeongju. He steps out with an umbrella just as a pair of feet sneaks in behind him. An arm winds around his shoulder. Chen x Punch’s romantic OST plays as the umbrella lifts, revealing a merry Shijin and a very nonplussed Daeyoung, wondering who the hell has his arm around him before seeing Shijin. Cut to them at a restaurant with Daeyoung constantly reiterating that he’s dating Myeongju. 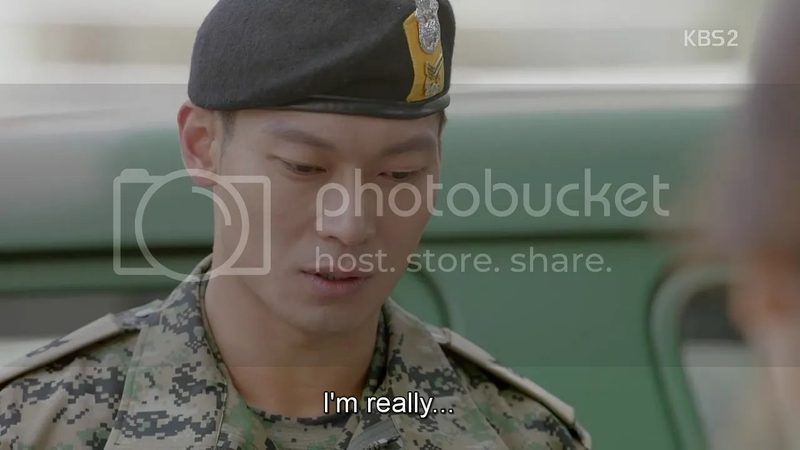 Shijin doesn’t believe him for a bit. They clearly have crazy hobbies in common. 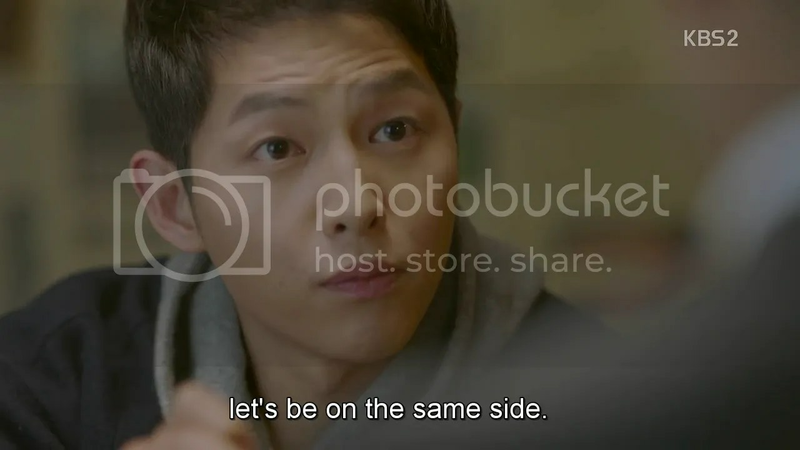 He simply says once again that he’s going out with Myeongju. 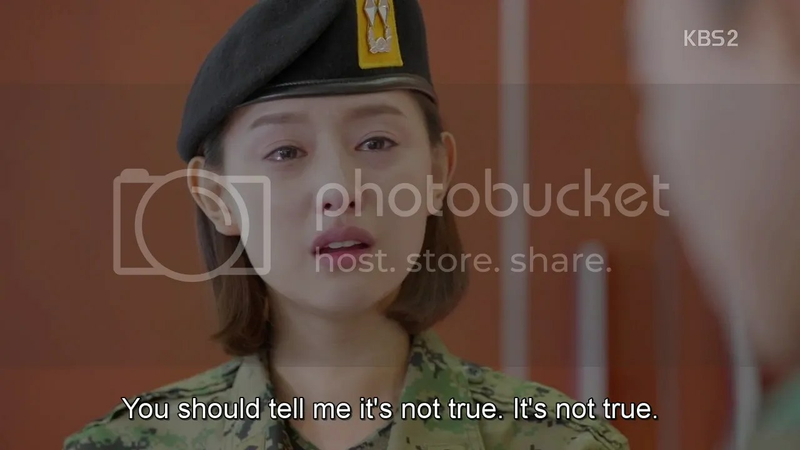 Shijin asks if he knows that her father’s a respected general, but Daeyoung’s confident that he won’t get in the way of their relationship (If only you knew). 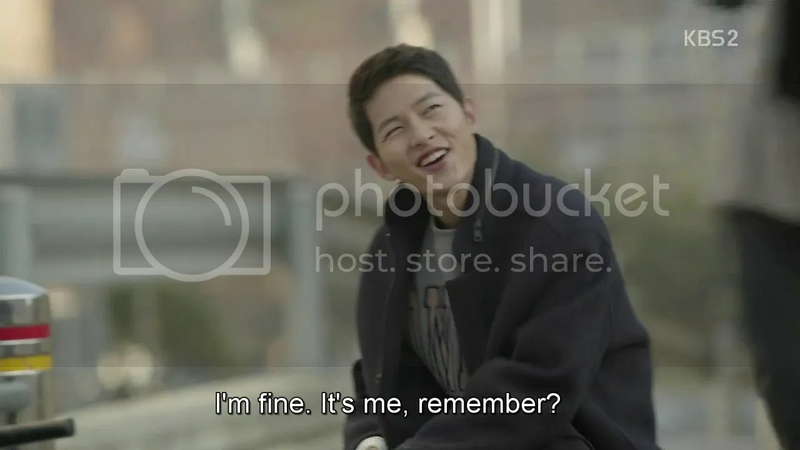 Shijin grins saying that he really hopes Daeyoung will go out with her then. Daeyoung says he will, before correcting himself. And so began the bromance of a lifetime. Moyeon morosely walks home thinking back to a time when she and Shijin debated on who should say ‘I love you’ first. 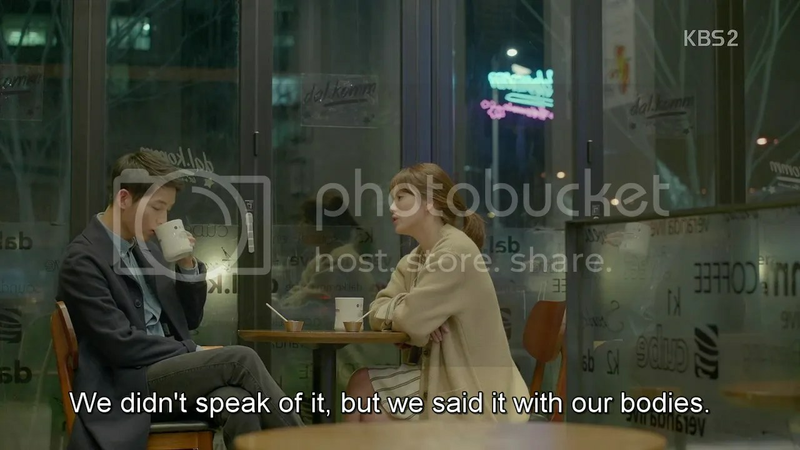 Shijin nearly chokes on his coffee while Moyeon muses that they sure went ahead with a lot despite never having officially affirmed their feelings. 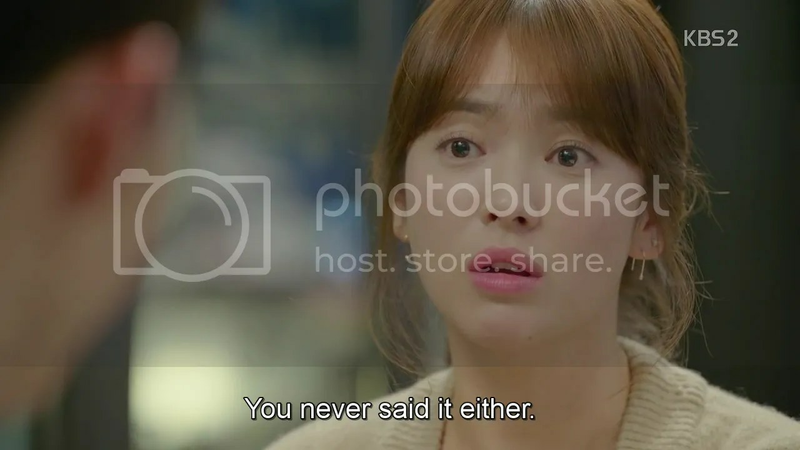 Shijin asks her to say it then, but she thinks the person who wants to hear it should go first. She’s startled at the sudden confession, while he cheerfully repeats it. She impishly responds. They toast with a pair of hot chocolate sticks before Moyeon leans in. Sitting at home, Moyeon imagines him with her, saying that she looks pretty. She confesses that she misses him and asks why he isn’t there. Dream-Shijin says he had to keep the peace. She asks if his promises to her weren’t important then. 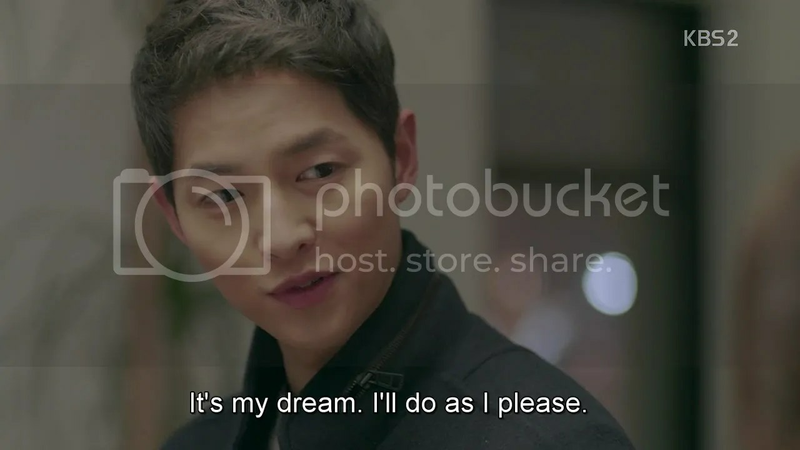 Dream-Shijin vows that he would have done everything to come back. Moyeon starts to sob, asking him why he isn’t here then. He vanishes. Myeongju arrives in Urk and unpacks. She places Daeyoung’s letter in her locker. It’s his turn, she says, to feel desperate. Moyeon prepares to board a plane when she catches sight of Daniel. He’s at the airport to stage a one-man protest on the FTA but was blocked from entering. Moyeon commends him on what he’s doing. He asks what she’s up to, and she says she’ll be volunteering. He notes that it does get addicting after a while but Moyeon says this trip is largely personal. Ah, so it’s been a year. Moyeon arrives in Albania and takes to her new surroundings instantly. She helps treat and examine everyone who can’t afford health care. At the same time, Daniel is interviewed by reporters at the airport and says that people used to die due to lack of medicine, now they’re dying in spite of it, because companies have made it so difficult to get access. His protest is with the goal of making these companies remove their patents so that others can try to find cheaper ways of making these medicines or even modifying them to help treat other diseases. Pharmaceutical companies, however, use these patents to increase their revenue as no one else can make the drug. Daniel quotes Dr. Salk who created the vaccine for polio and didn’t patent it, saying “can you patent the sun?” (Something tells her this is relevant to this show’s title xD). 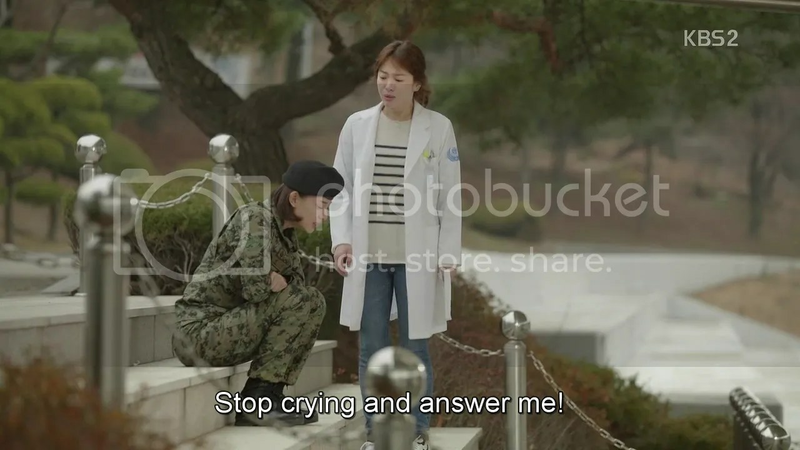 Moyeon continues to text Shijin, noting the sort of doctor she’s become and wondering if he’d be proud of her. She says there’s a desert nearby that she’ll be going to visit. 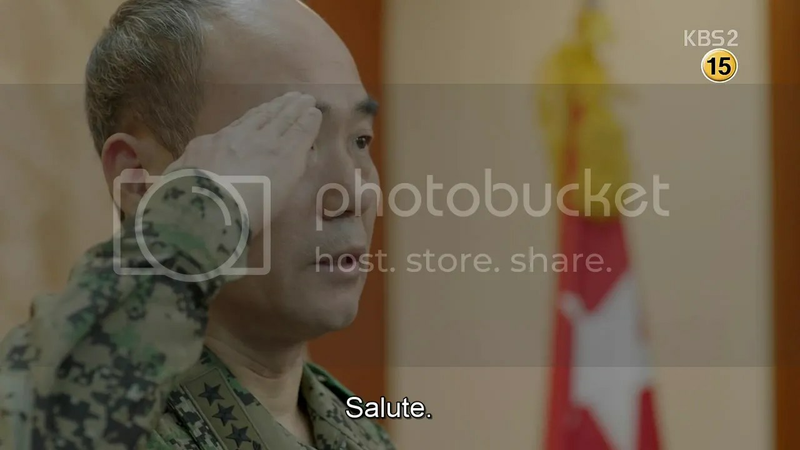 At the barracks in Urk, Myeongju’s surprised to find that Kim Kibum’s arrived and been promoted to Platoon Sergeant. He says he liked the army. They eat noodles together with the mood turning somber when Myeongju asks if Daeyoung ate a lot of noodles as well. Kibum affirms that he did before pausing at the sight of all the snow outside. Myeongju is unimpressed until he gapes, revealing that it never snows in Urk. Moyeon walks to the desert, remembering Shijin with every step. She lays flowers on the grave she’s made up for him, remembering him tying her hair. Him promising to return, him saying that he loved her. She starts to sob, calling him a liar. Her walkie talkie crackles, she’s called back to headquarters, and haha she still uses the nickname ‘beauty’. 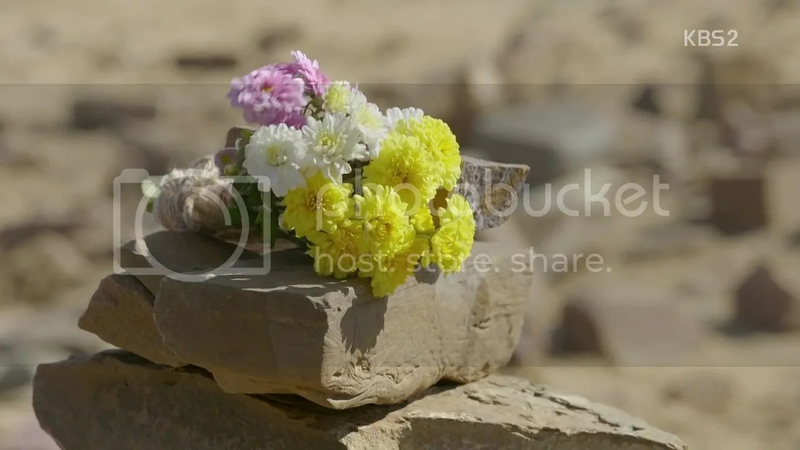 She gives Shijin’s grave one last glance before placing the white pebble he’d given her on top. A gust of wind blows right then and knocks it off. She does so again, only for it to fall off. She tries a third time, right then her walkie talkie crackles once more. She freezes, looks around her and checks her messages, all of which are unread. But she freezes when her phone shows the messages being read one by one. 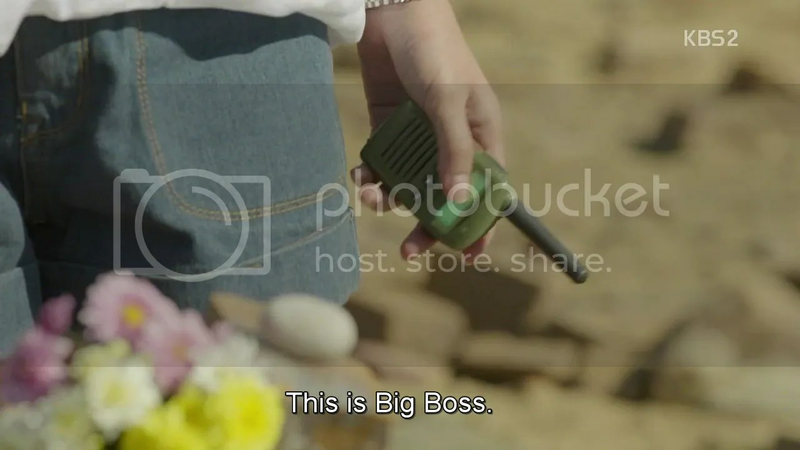 Shijin’s voice comes on the talkie, repeating that it’s Big Boss. 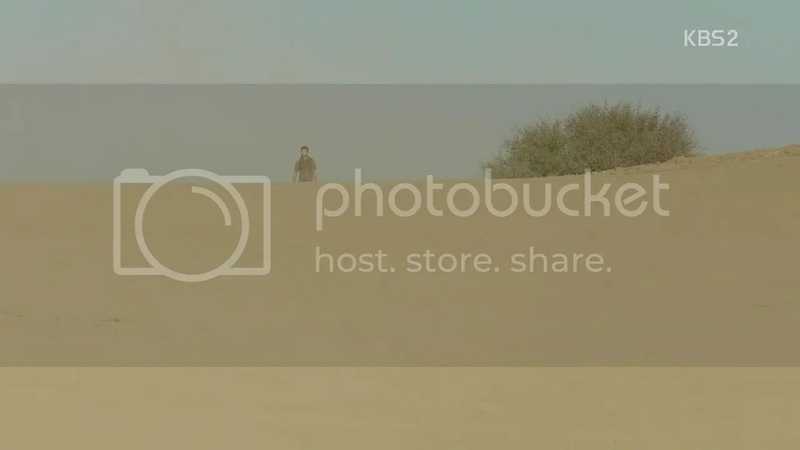 She turns to find nothing on the sandy horizon, but after a few moments a figure appears. She races to him, not sure if she’s dreaming, tripping several times and finally falling. He closes the rest of the distance at that. He blinks back tears saying that for some reason he’s been rather good at keeping that promise. They pull each other close at the same time. She repeats that he’s alive over and over as though she’s trying to etch that into her mind, that this is real. Thank you for your fast recap. It saves me from losing my mind. Hahahaha. 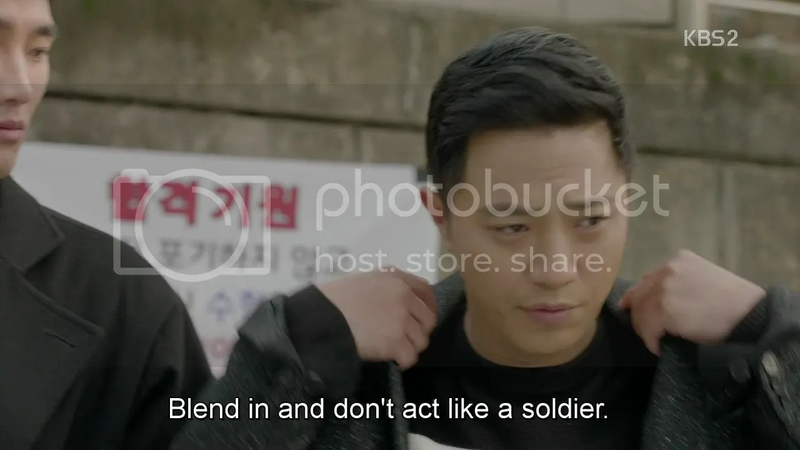 I was ready to be mad at the writer for killing uri Shijin. Luckily he came back at the end of ep 15. Now, the big question is “what about Daeyoung?”. Is it safe to hope that it is snowing in Urk because Daeyoung is there? 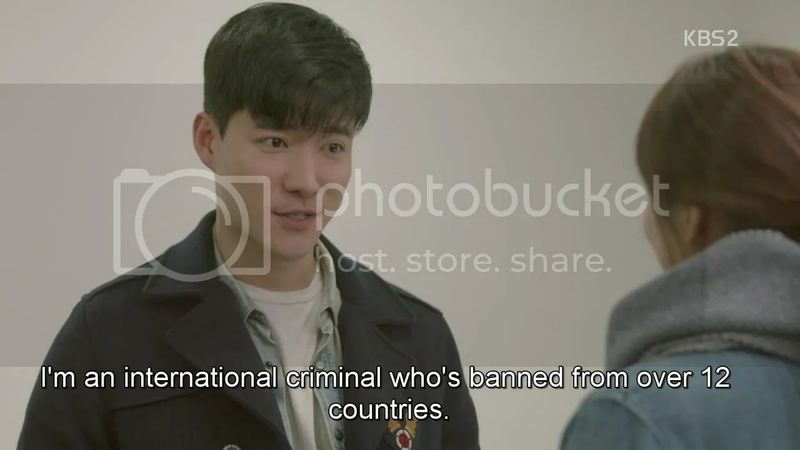 I have the same exact question: how did Shijin know Moyeon’s location. Did his death were staged? It is so damn cruel if they staged their death. Thank you as always for the quick recap!!! All possibilities, positive and negative, life and death, love and angst co exist in the Fifth Dimension. 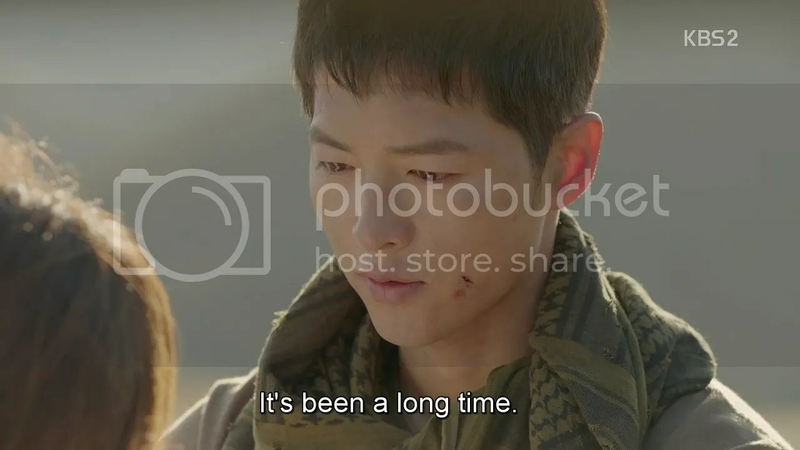 While I still believe Shi Jin is alive, it doesn’t make sense that he just found her like that. It’s just too easy. I hope she is just imagining him there for the time being then will set out to go look for him. I think he knew shes in the desert because that was the last message she sent him and sometimes you can read the latest message without actually opening it. 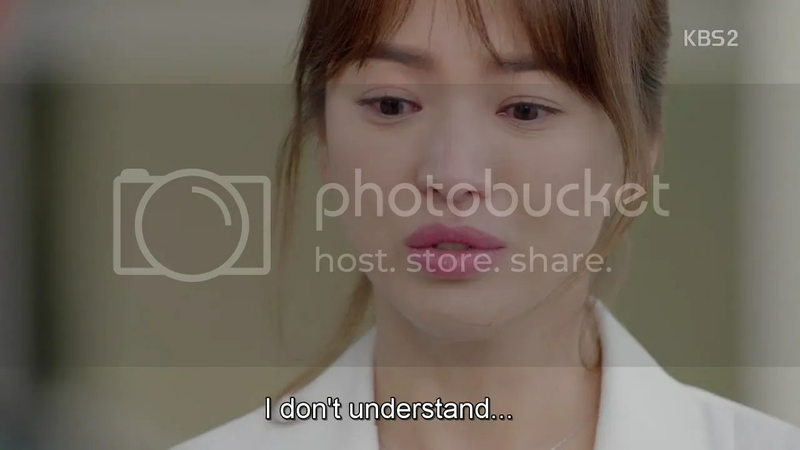 How i hate it when my brain has to work hard to explain away things i dont understand in dramas i love. I found it slightly hard to wrap my head around this particular episode. 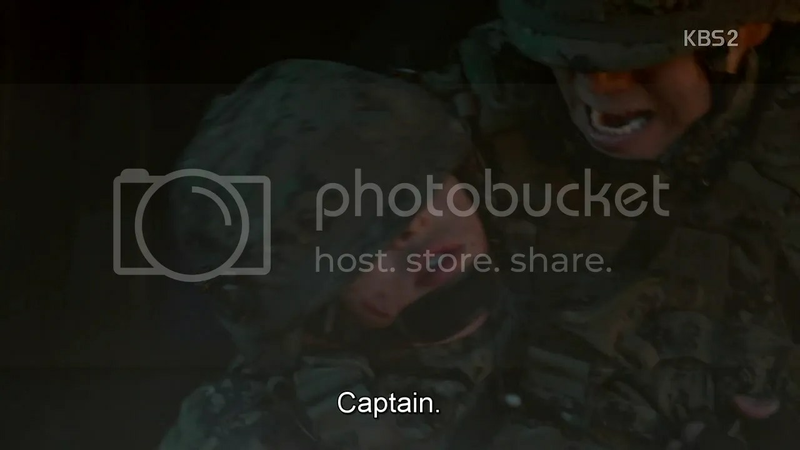 But all i cared about in the end was that Shi Jin is ALIVE!!!! I think I experienced Mo yeons year of sadness in the few weeks after suggestions that he may die came out. Just hope Dae youngs alive and we’re done with the unnecessary tension. Thank you for your recap. Loved it! thank you very much for your great recap!